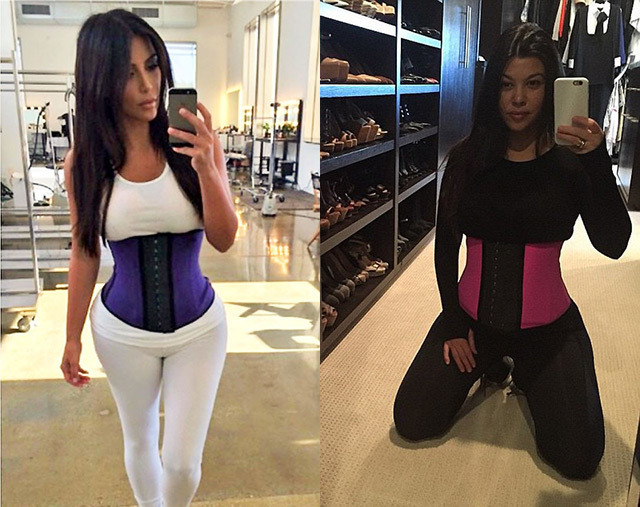 For the very first time, wear the waist trainer for 1 to 2 hours to warm-up the product. 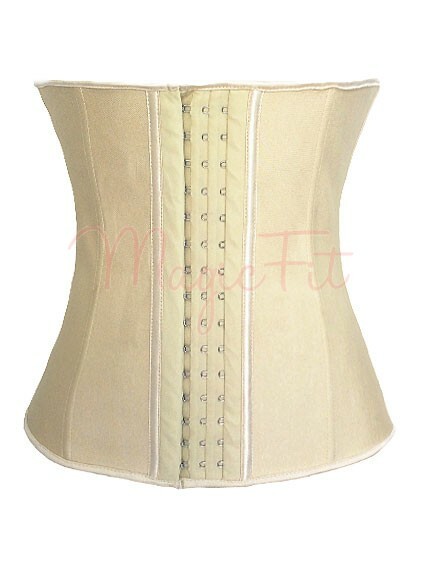 It is recommended to wear cotton singlet underneath the waist trainer during training. 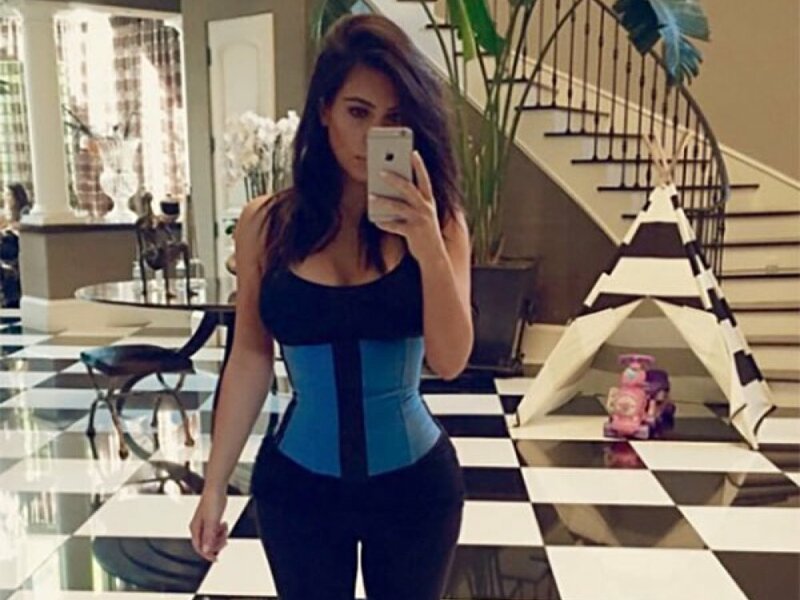 It is suggested to wear the waist trainer for 4 to 6 hours a day, but not longer than 8 hours a day. 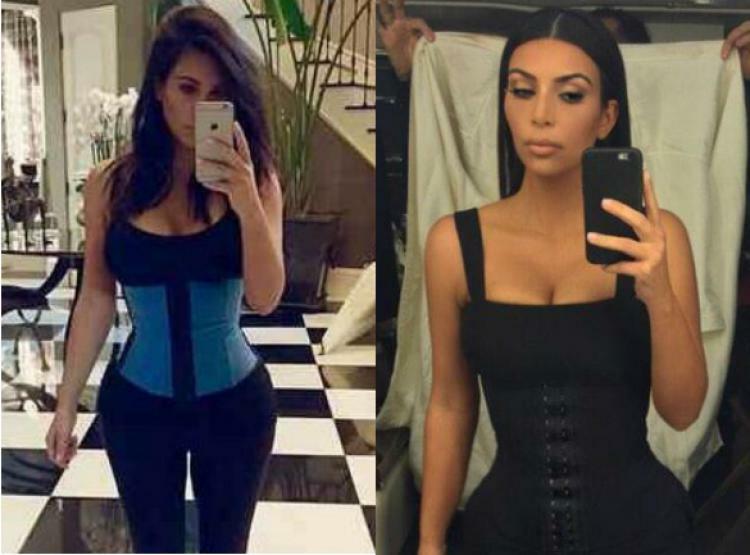 Do NOT wear the waist trainer during sleep. Hand wash in cold water only. Dry in Shade. 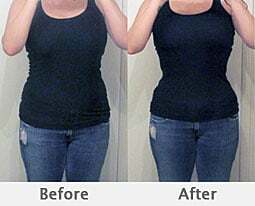 For Waist Measurement, Please use measuring tape to measure two measurements. 1st measurement: Measure it when you at your relaxed form. Write both measurements down in both cm and inches. 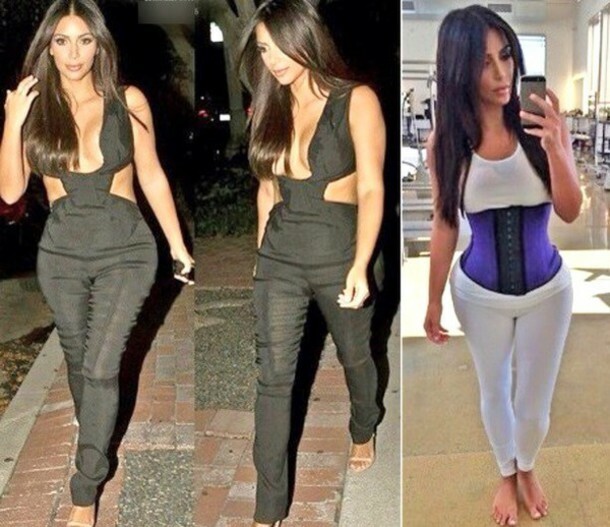 DO NOT USE YOUR CLOTHES SIZE TO DECIDE YOUR WAIST TRAINER SIZE PLEASE. 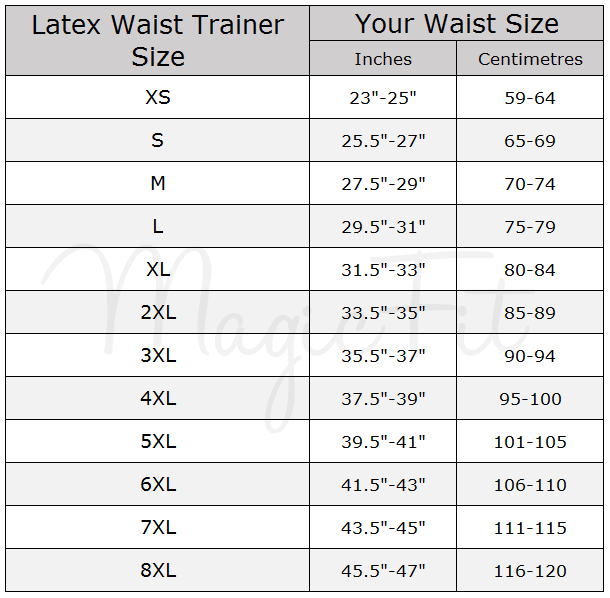 PLEASE READ "HOW TO MEASURE" ARTICLE WHICH IS ON THE LEFT OF THIS PAGE AND MEASURE YOUR WAIST BEFORE YOU DECIDE ON SIZING PLEASE. MAGENTA - XS - Waist 23"-25"
MAGENTA - S - Waist 25.5"-27"
MAGENTA - M - Waist 27.5"-29"
MAGENTA - L - Waist 29.5"-31"
MAGENTA - XL - Waist 31.5"-33"
MAGENTA - 2XL - Waist 33.5"-35"
MAGENTA - 3XL - Waist 35.5"-37"
BLACK - XS - Waist 23"-25"
BLACK - S - Waist 25.5"-27"
BLACK - M - Waist 27.5"-29"
BLACK - L - Waist 29.5"-31"
BLACK - XL - Waist 31.5"-33"
BLACK - 2XL - Waist 33.5"-35"
BLACK - 3XL - Waist 35.5"-37"
PURPLE - XS - Waist 23"-25"
PURPLE - S - Waist 25.5"-27"
PURPLE - M - Waist 27.5"-29"
PURPLE - L - Waist 29.5"-31"
PURPLE - XL - Waist 31.5"-33"
PURPLE - 2XL - Waist 33.5"-35"
PURPLE - 3XL - Waist 35.5"-37"
BLUE - XS - Waist 23"-25"
BLUE - S - Waist 25.5"-27"
BLUE - M - Waist 27.5"-29"
BLUE - L - Waist 29.5"-31"
BLUE - XL - Waist 31.5"-33"
BLUE - 2XL - Waist 33.5"-35"
BLUE - 3XL - Waist 35.5"-37"
CHAMPAGNE - XS - Waist 23"-25"
CHAMPAGNE - S - Waist 25.5"-27"
CHAMPAGNE - M - Waist 27.5"-29"
CHAMPAGNE - L - Waist 29.5"-31"
CHAMPAGNE - XL - Waist 31.5"-33"
CHAMPAGNE - 2XL - Waist 33.5"-35"
CHAMPAGNE - 3XL - Waist 35.5"-37"
Great customer service, amazing result. 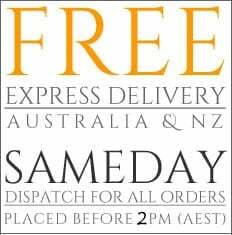 Very effective and comfortable to wear! 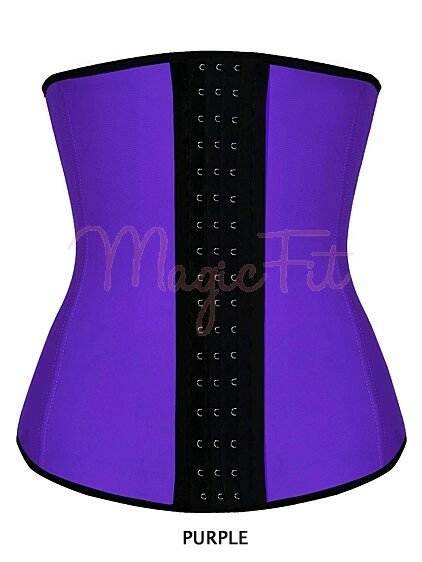 beautiful waist trainer, works like a magic! It works like a magic! nice trainer, so comfortable to wear. Great quality latex waist trainer, amazing result! I just wore my waist trainer for the first time today. I had it on for 9 hours and I was surprised at how quickly I got used to wearing it. 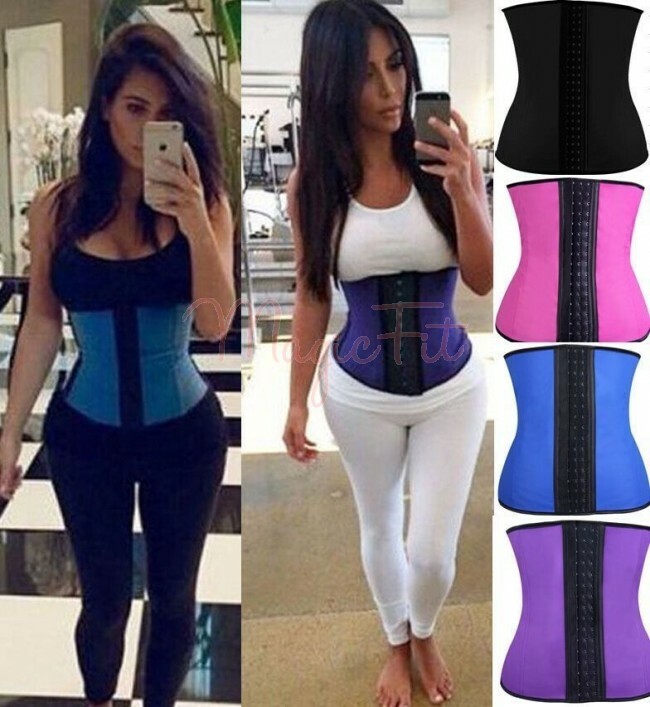 I've tried other waist trainers in the past that were really poor quality and I had to take them off straight away because of how uncomfortable they were, so I was a bit worried, but this waist trainer is awesome! Ordered my first waist trainer, was too small. Spoke to the live chat team about exchanging it. 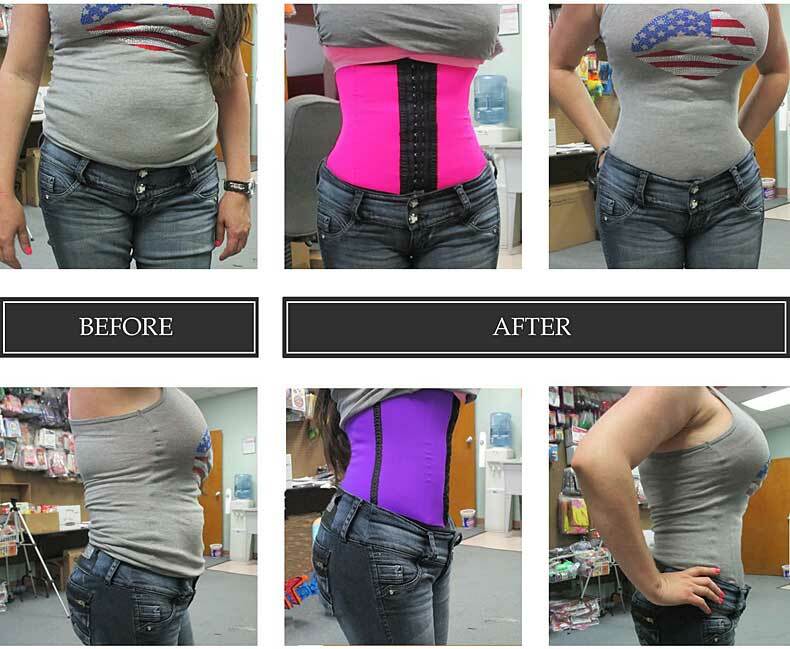 I sent mine back - on the same day Magic Fit recieved my waist trainer back - they resent me another one. I got both waist trainers in 1 business day.